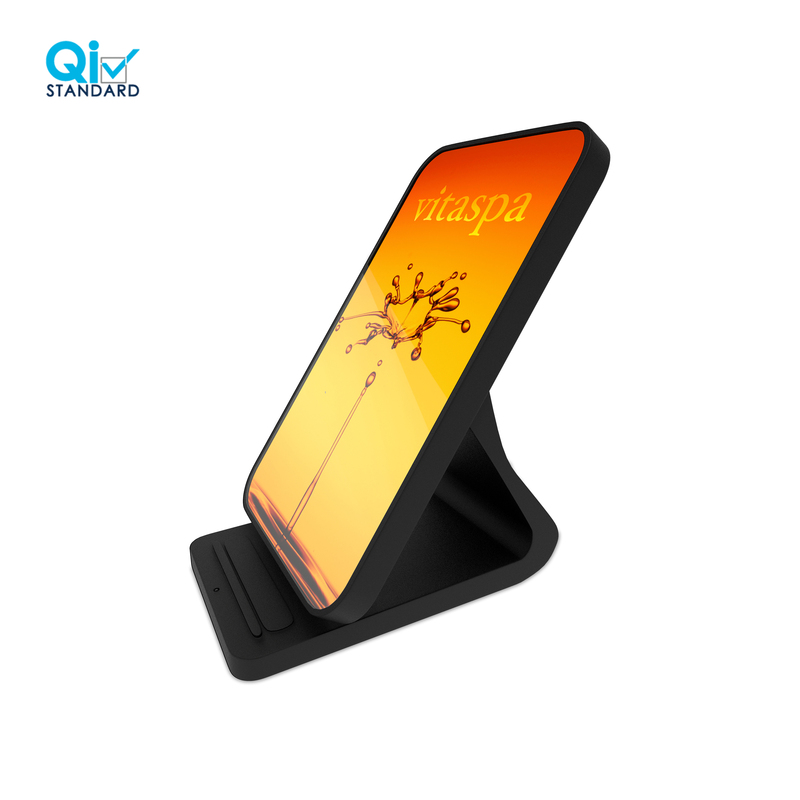 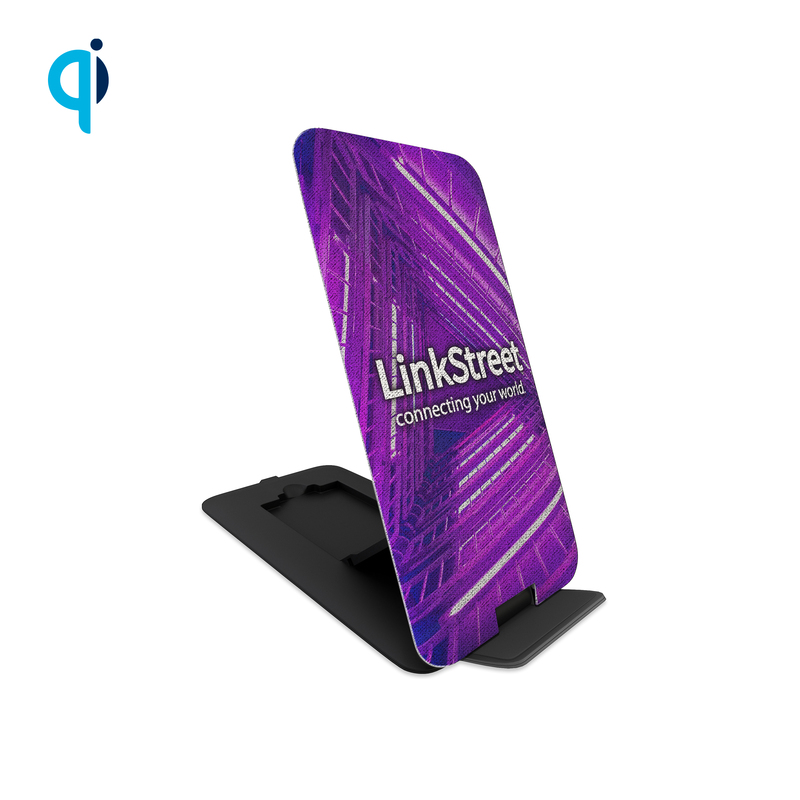 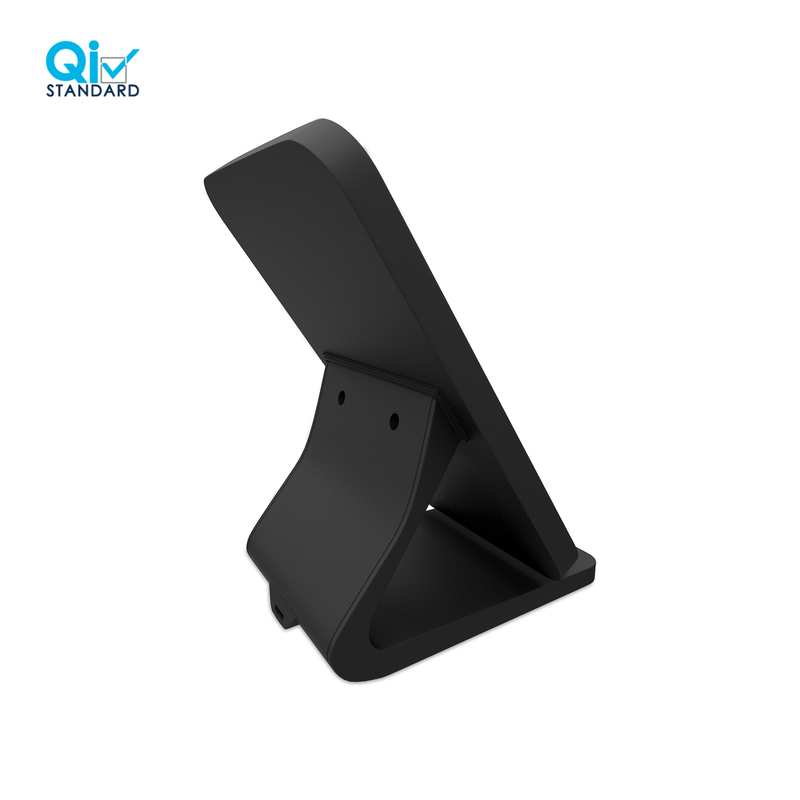 Immerse your audience in your brand with a wireless charging phone stand that boasts an enthralling front glass panel that shows off branding with its high-definition, full-color imprint. 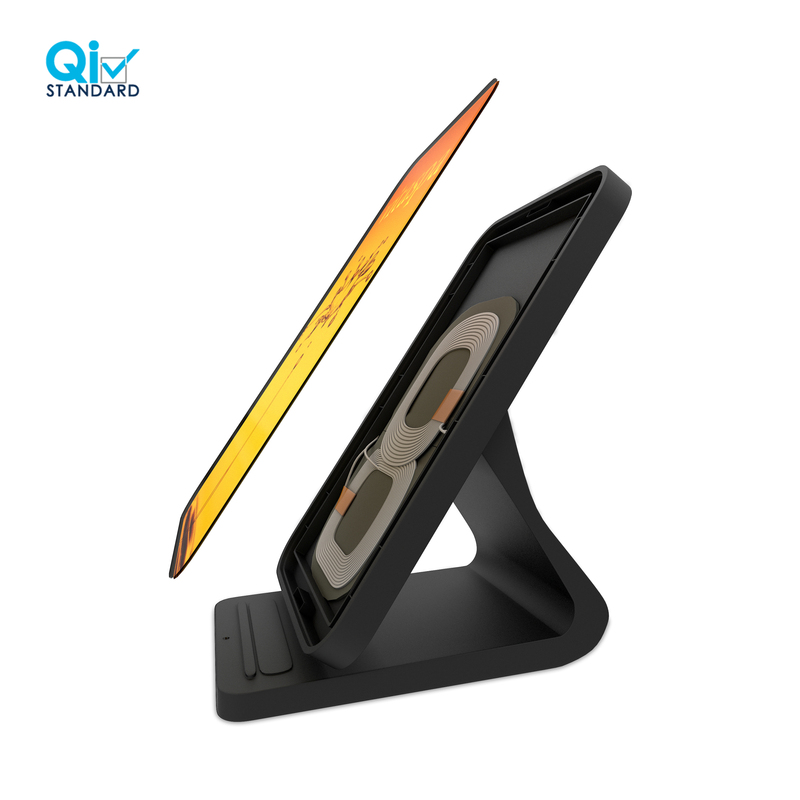 Offering viewing versatility, the dual-coil design lets the smartphone rest in a vertical or horizontal position, ideal for reading an email or watching a video. 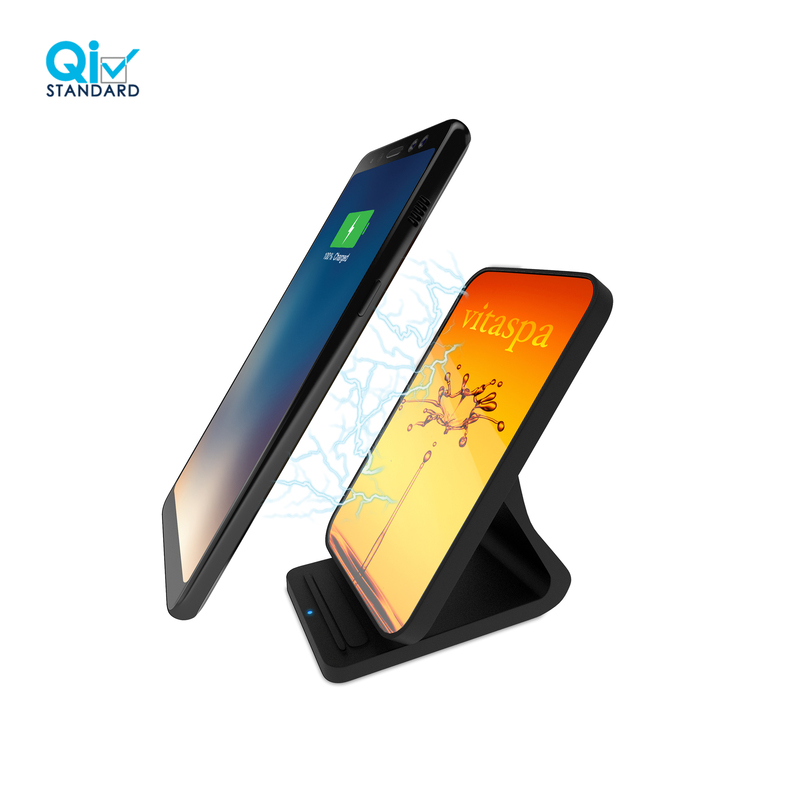 Powerful branding and viewing flexibility are backed by Qi-enabled fast charging technology that delivers up to 7.5/10W of power. 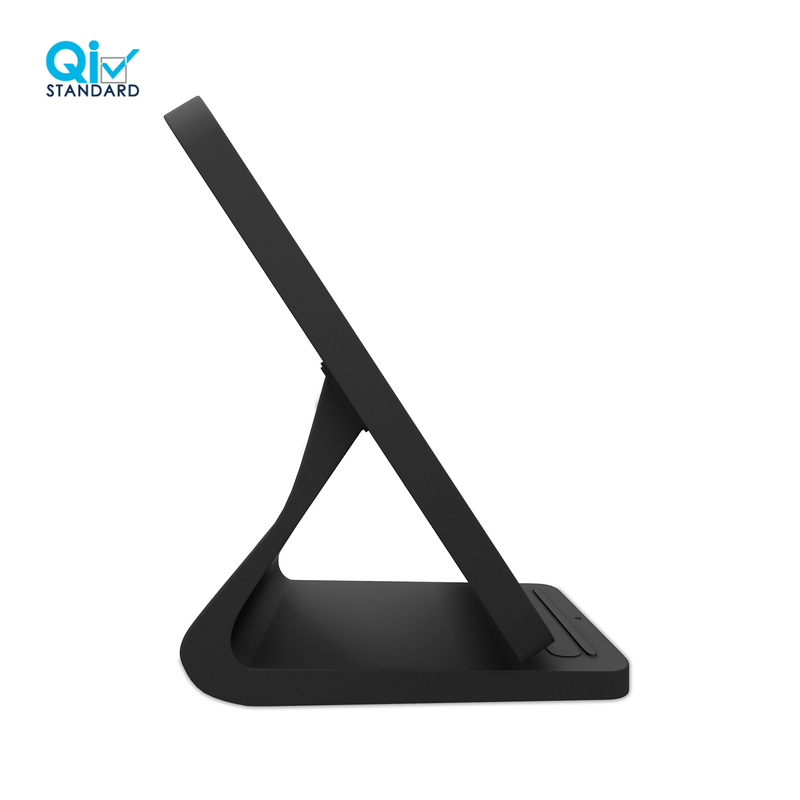 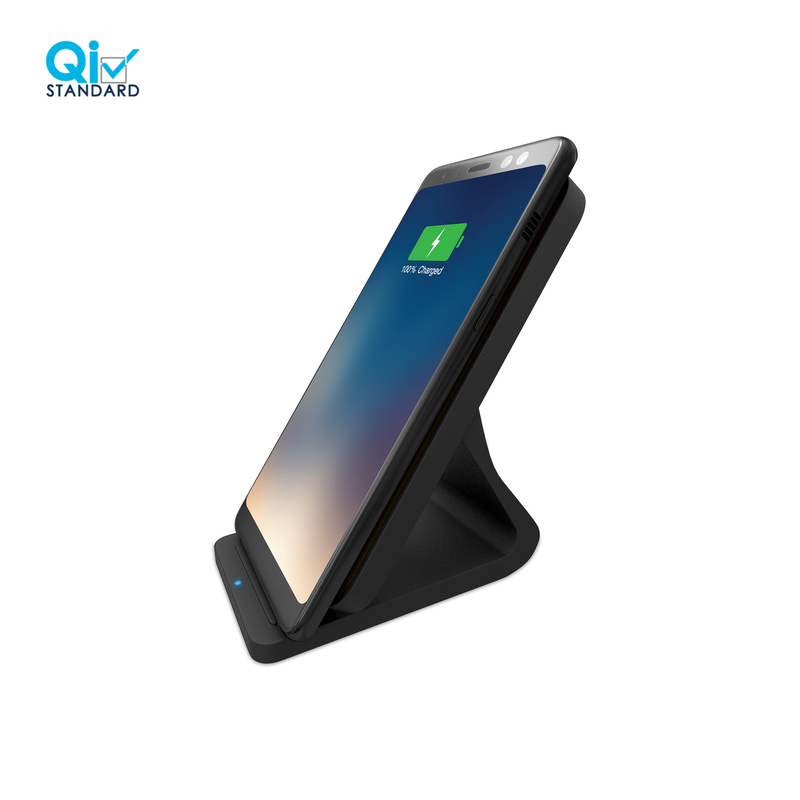 Use this branding powerhouse charging stand with any Qi-enabled device, including iPhone X, XS, XS Max, and XR, Samsung, LG, Sony, and other Qi-enabled devices. 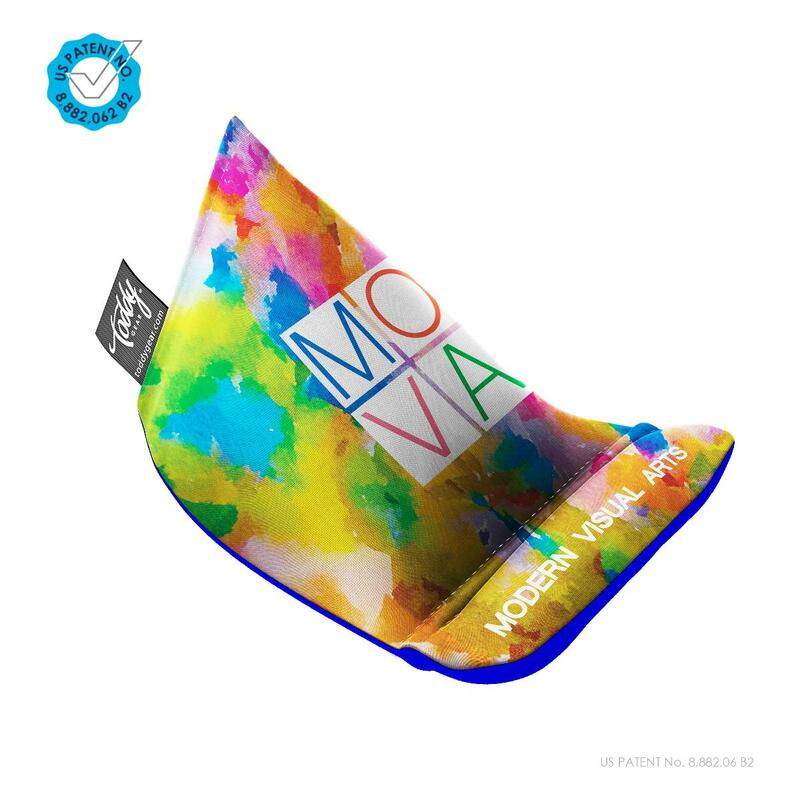 Up to 10 business days from proof approval. 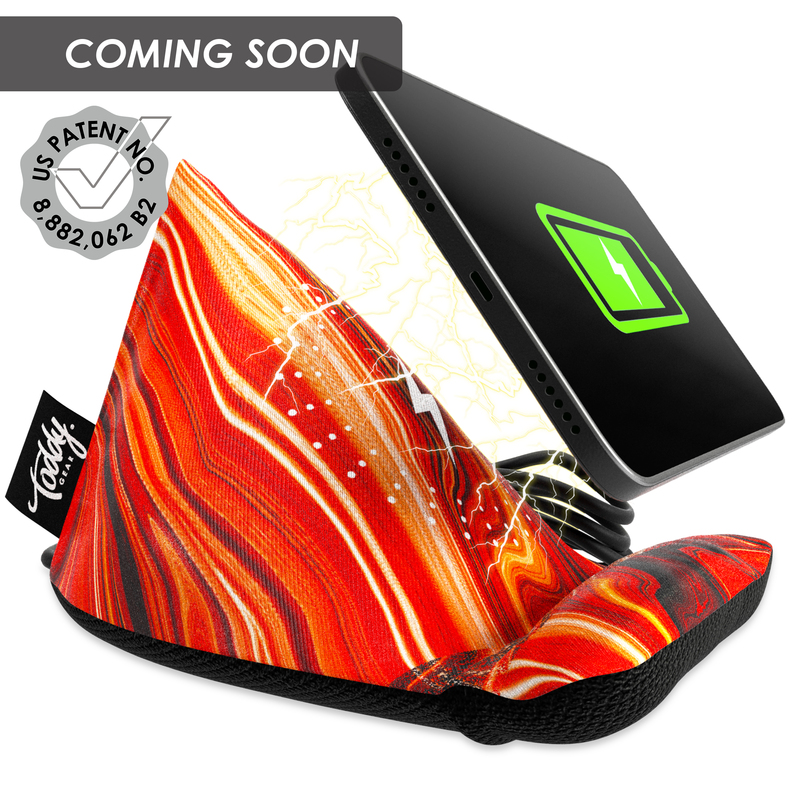 Production times may vary based on quantity.